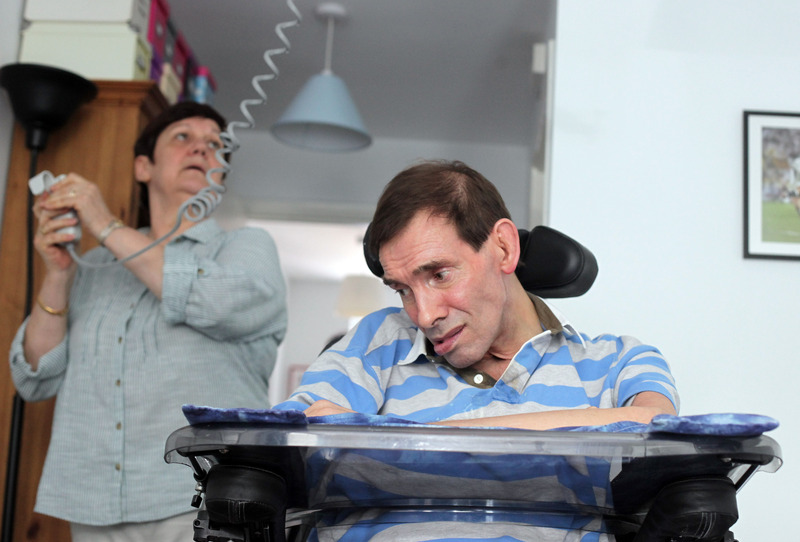 (CBS/AP) Tony Nicklinson found living with locked-in syndrome so difficult that he petitioned Britain's High Court to overturn his country's ban on euthanasia. On Wednesday, his lawyers announced he died at home. In January, the 58-year-oldasked the High Courtto declare that any doctor who killed him with his consent would not be charged with murder. He argued the law hindered his right to "private and family life" on the grounds that being able to choose how to die is a matter of personal autonomy. Last week, the court rejected his request, along with the euthanasia request of another man with locked-in syndrome, a decision that Nicklinson said had left him "devastated and heartbroken." "I am saddened that the law wants to condemn me to a life of increasing indignity and misery," he said in a statement last week, adding that he planned to appeal. Nicklinson was a former corporate manager and rugby player who suffered a stroke in 2005 that left him unable to speak or move below his neck. He required constant care and communicated mostly by blinking, although his mind had remained unaffected and his condition was not terminal. He had previously described his life as "a living nightmare." One of his daughters said on her father's Twitter account that he died "peacefully this morning of natural causes." Shortly after she tweeted, "Before he died, he asked us to tweet: 'Goodbye world the time has come, I had some fun.'" His family said later that he died of pneumonia. Police said they would not be investigating Nicklinson's death. "We can confirm he passed away," a police spokesman said on customary condition of anonymity. "His death certificate has been signed by a doctor, so it is not a matter for Wiltshire Police or the coroner." Saimo Chahal, Nicklinson's lawyer, said his health had deteriorated recently and that he was in "a great deal of physical pain and discomfort." Experts weren't sure what impact, if any, his death might have on the ongoing euthanasia debate in Britain. Penney Lewis, a law professor at King's College London, said previous deaths of euthanasia advocates didn't have any effect on changing laws to allow the practice. Nicklinson had refused since 2007 to take any life-prolonging drugs recommended by doctors, including heart drugs or blood thinners. His wife, Jane, a trained nurse, had said he could be at risk of another stroke or a heart attack.